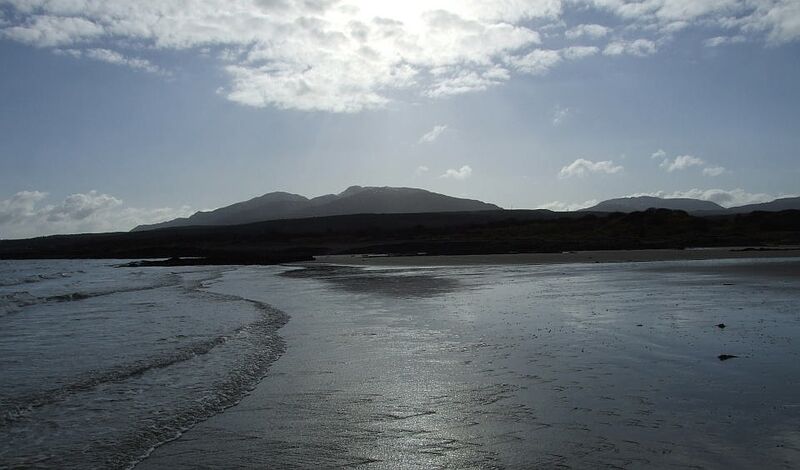 Although Breakish and Ashaig are an ideal base for exploring south and central Skye and the nearby mainland, there is also much to be enjoyed in the immediate locality within walking distance. Ashaig lies between two villages, Breakish, which has a small but thriving population, and the village of Lusa which is now uninhabited, and most remains of which can only be seen from close exploration. There is a licensed restaurant in Breakish, about 15 minutes walk from the campsite along a pavement / cycle path. Ashaig itself has a sandy beach which is quite substantial at low tide. 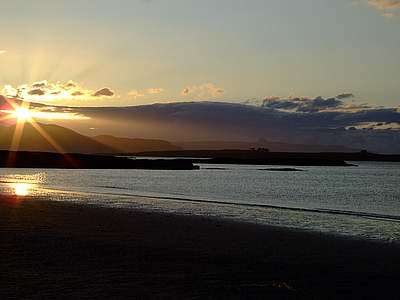 (Many fine pictures of the beach and the locality can be seen on the local area slideshow.) Take care not to get stranded when the tide comes in, although the tide is fairly slow and gradual, and the water fairly shallow. 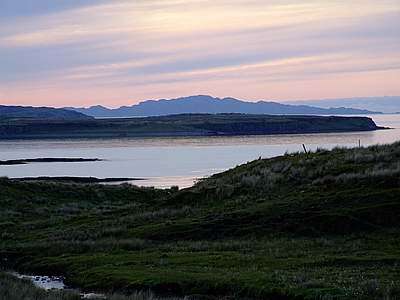 The Applecross Hills and the Torridon mountains to the east make a fine backdrop to the beach, and the Red Cuillins to the west. The beach is itself very interesting to explore. When the tide is very low, it is quite easy to wade over the river estuary to the other side of the beach area, from which one can easily get to a large coral beach. If you do get cut off by the incoming tide at the Coral Beach, it is usually possible to pick your way west along the peninsula until you reach the Breakish - Broadford track. It is also possible, when the tide is not too far in, to pick one's way along the shoreline inland to the east, from where otters can sometimes be seen, and there is a small track which is usually accessible at all times to the west which reaches the mouth of the River Lusa. Along here seals can sometimes be seen. There are often cattle grazing beside the small single track road down to the beach - they are mostly fairly passive and used to people, but take care, and avoid walking between a cow and her calves. The area has historic connections with Saint Maelrubha (circa 642-722 AD) who preached from a rock near the beach, known as Pulpit Rock. There is also a well associated with him there. He had a monastery on the mainland near Applecross, to and from which he probably travelled by boat across the water from Ashaig (which means "ferry" in Gaidhlig. There is a marked walk to Broadford, which follows the single track roads through Breakish, then turning into a walking track which comes out in Waterloo. From here follow the single track road through Waterloo until one reaches the junction with the main road, and a pavement takes one the rest of the way into Broadford. The walk affords lovely sea views on a clear day. 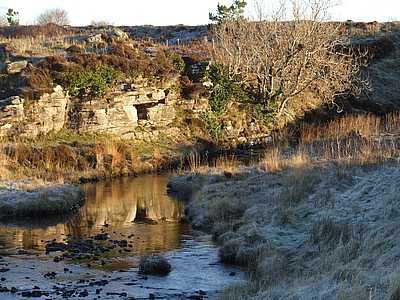 The campsite itself is bounded to the east by the pretty River Ashaig, which rises from a small hidden loch a few hundred metres south of the campsite. it is possible to pick one's way across the moorland to this tranquil Loch. Pulpit Rock, Ashaig, in the winter.